If you haven't guessed, my little blogging break is over. ;-) It was nice to chill out and take a break. Not worry about scheduling posts, getting things swatched every weekend. I noticed by taking a break, my creativity for nail polish came back. Since I was usually only creating one look to wear for the entire week, I was able to better plan out my designs and put more thought into them. I love blogging about nail polish and I love doing reviews, but I'm no longer going to push myself to get several posts up a week. It was draining me out and I was starting to become frustrated with blogging. Instead I'm going to blog when I want. If I only get one post up a week, so be it. If I get on a stretch of posting a few times a week, so be that. I want blogging to be fun for me, and I want to be excited about sharing things with you all. I have a few reviews coming up. 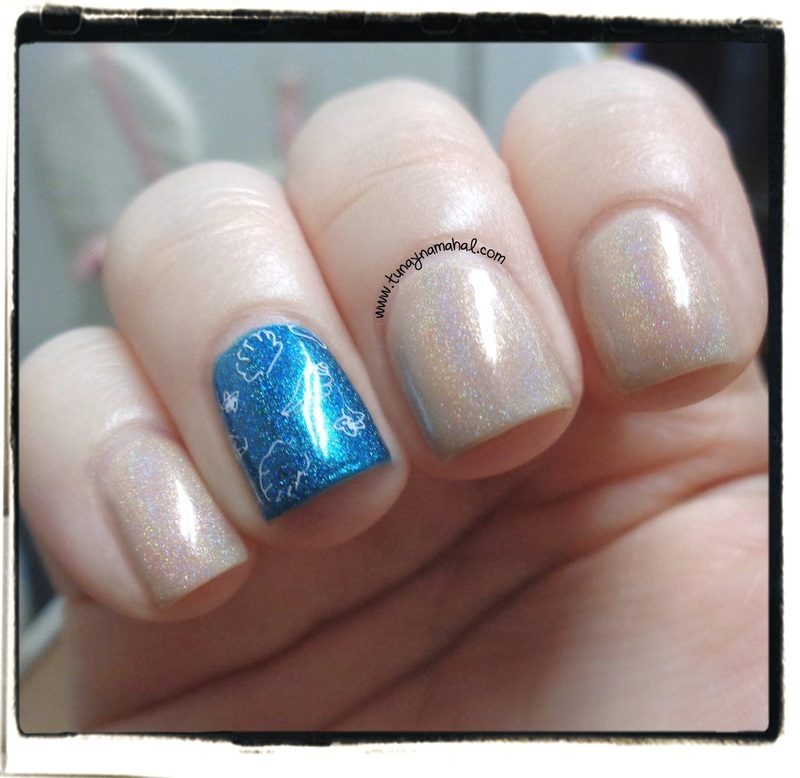 Look for a review of two stunning polishes by Ice Polish and another review of Winstonia Store nail strips! Today I wanted to share with you some of the looks I created while on break. Some of these were taken with my regular camera and others are cell phone photos. 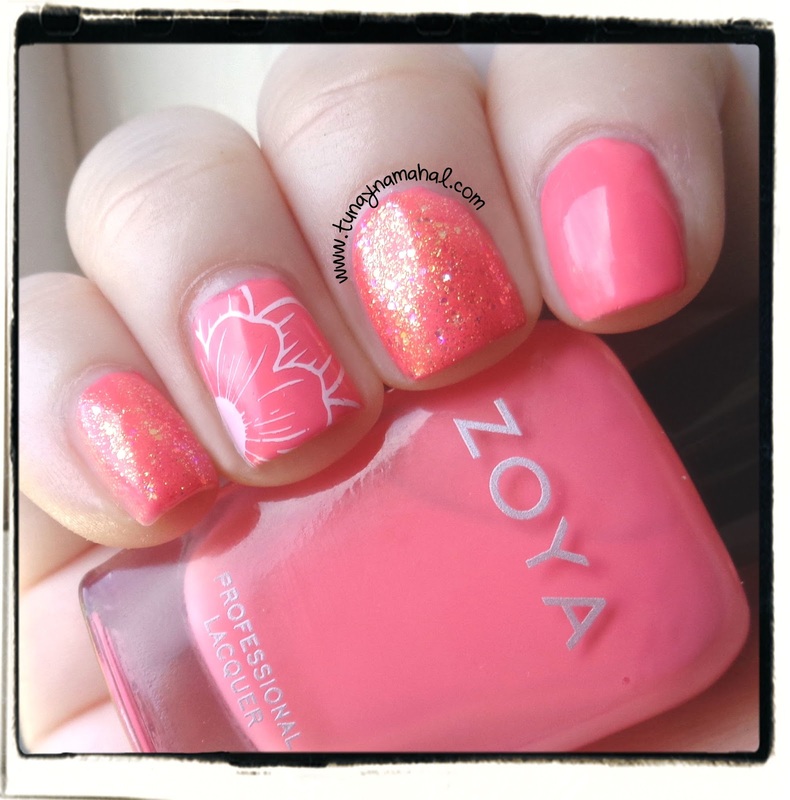 Zoya Wendy with Zoya Jesy, and Winstonia stamp plate W-04. 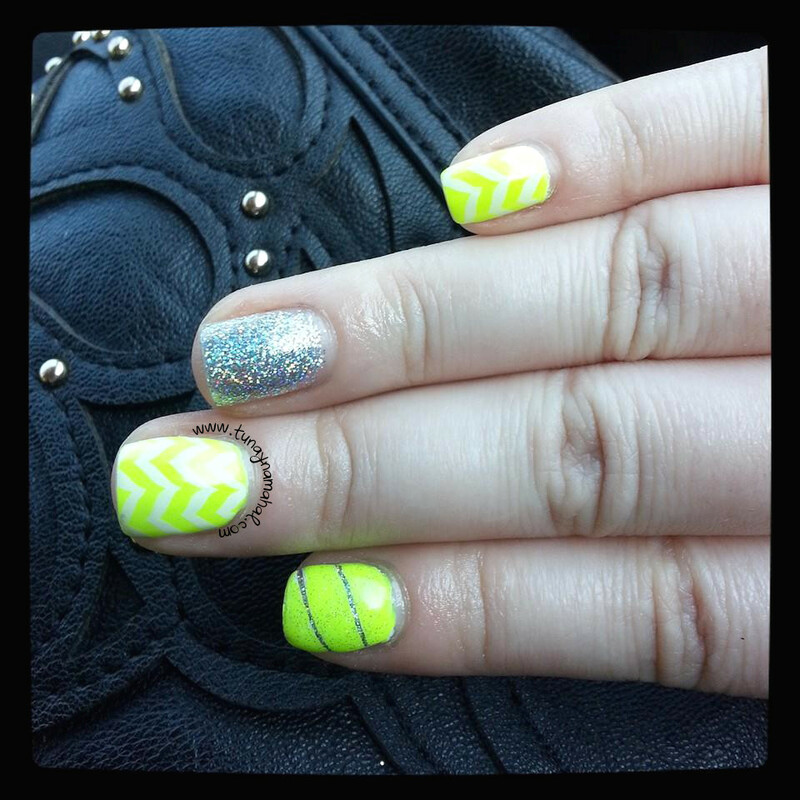 Orly Glowstick with Painted Polish Drunk on Holo, Messy Mansion stamp plate MM12. ILNP Purple Plasma, Painted Polish Drunk on Holo, with Emily de Molly stamp EDM03.